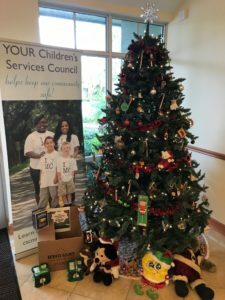 The holidays just got a lot brighter thanks to the efforts of over 55 Treasure Coast businesses, gated communities, networking groups, customers and one very driven moving company. 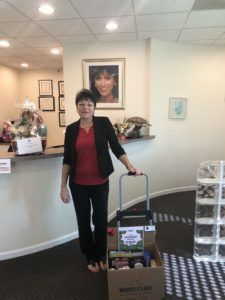 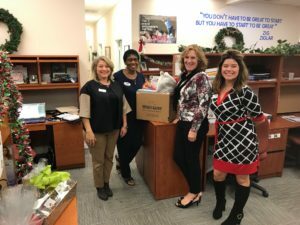 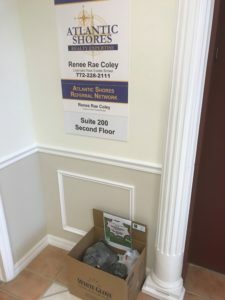 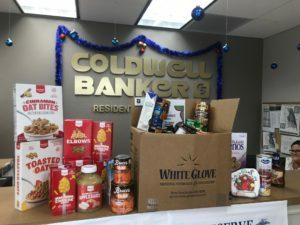 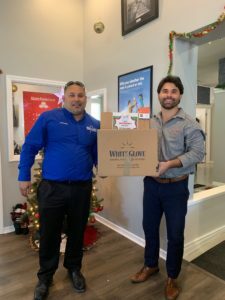 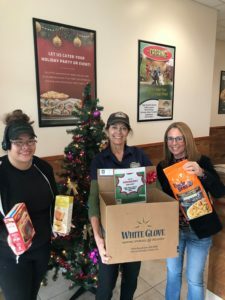 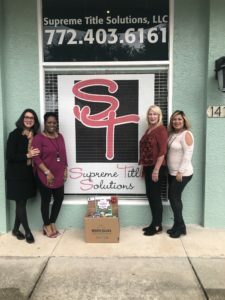 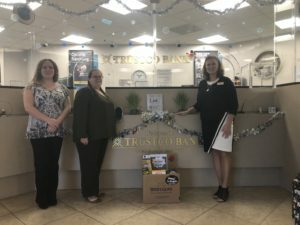 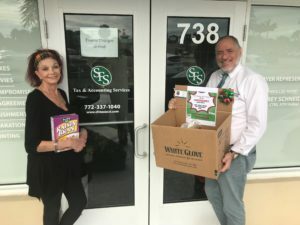 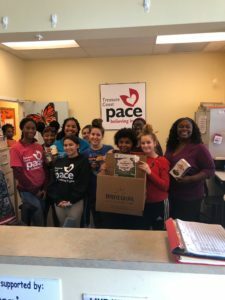 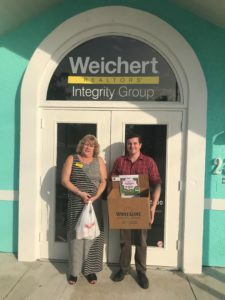 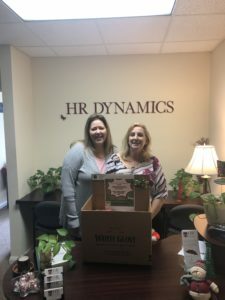 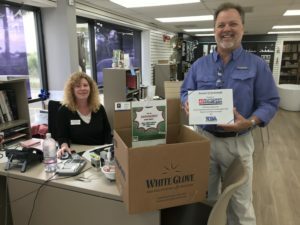 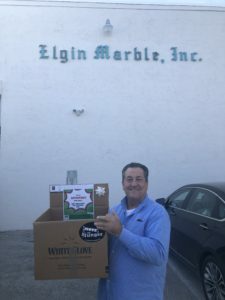 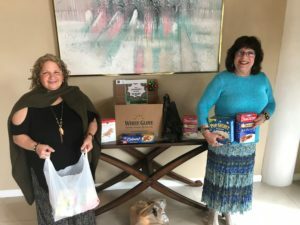 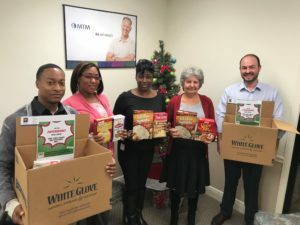 During the sixth annual White Glove Moving holiday food drive, over 2800 pounds of food was collected and delivered to the Treasure Coast Food Bank which equates to roughly 4,700 meals for the 200,000 food insecure families throughout Indian River, St. Lucie, Martin and Okeechobee counties. 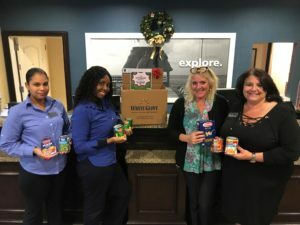 Not only did the food drive exceed its goal by nearly a thousand pounds, it also served as an opportunity for folks to discuss the severity of the food needs in our area as the Treasure Coast Food Bank embarks upon its 30th year of helping to fight hunger. 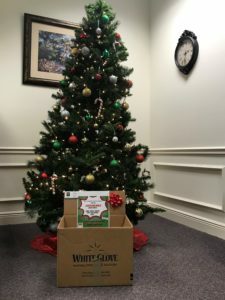 A contest for each county was conducted to stimulate giving. 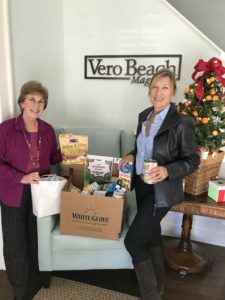 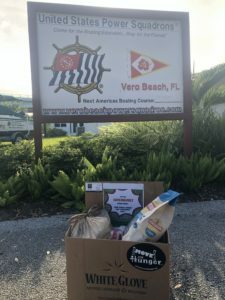 In Indian River County the winner for most amount of non-perishable food was Cravings and The Beached Whale located on Ocean Drive in Vero Beach who managed to fill entire drums full of food. 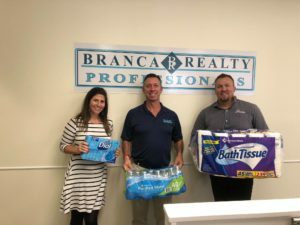 In St. Lucie county, Branca Realty stepped up with nearly an entire truck load of goods from bottle water and diapers to canned food. 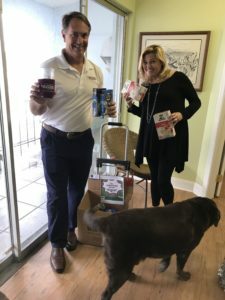 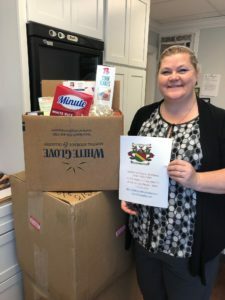 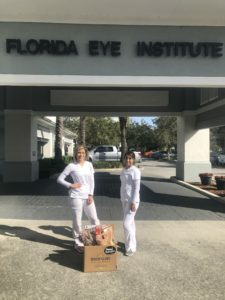 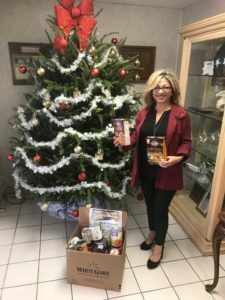 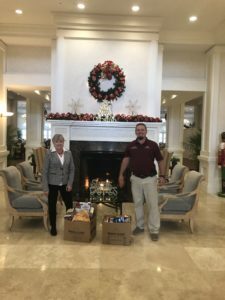 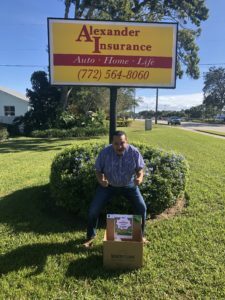 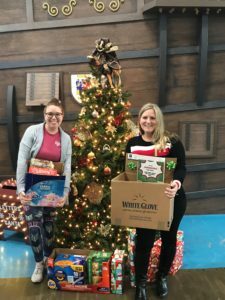 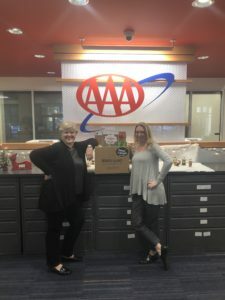 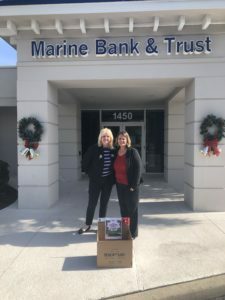 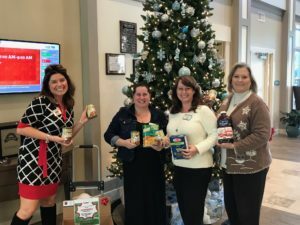 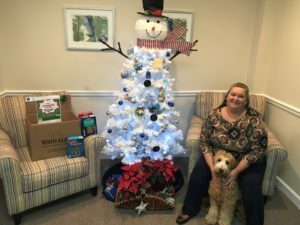 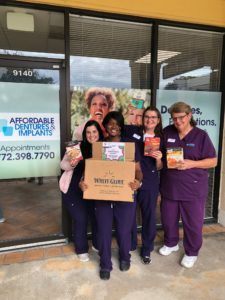 Martin County’s top producer was Florida Non-Emergency Medical Transportation – MTM Inc who collected more than four boxes full of holiday inspired food. 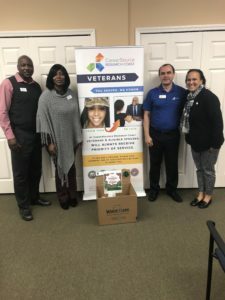 A special thank you to all who participated based on the county. 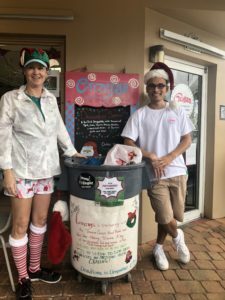 Cravings staff posing with their full bins. 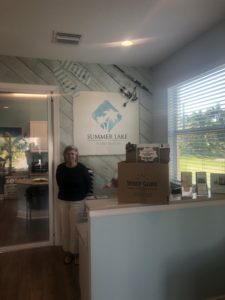 Branca Real Estate of Ft. Pierce showing off a few collection items. 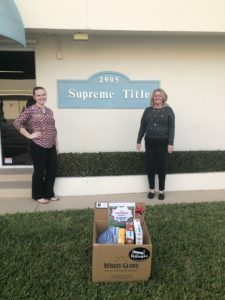 MTM Transit in Martin County posing with a few of their boxes and items. 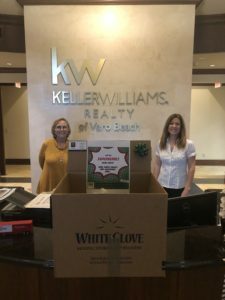 State Farm of Sebastian, Riverview Dental, Sebastian Insurance, Riverview: Coffee, Tea & Books, Coldwell Banker Paradise, Sebastian Chamber, Vandoore Vorhee Law, Marine Bank & Trust (all locations), Treasure Coast Automotive, Summer Lake by GHO Homes, Harmony Reserve, Florida Eye, Career Source, The Antilles, European Kitchen & Bath, Elgin Marble, AAA Insurance & Travel, Oak Harbor Clubhouse, Cravings, HR Dynamics, Alexander Insurance, Oculina Bank, Supreme Title, Image 360, Trustco Bank, Renaissance Senior Living, The Vero Premier Womens’ Network, Business Connexions, Keller Williams of Vero Beach, Decors by Jacqueline/Palm Coast Development, Vero Beach Power Squadron and the Vero Beach Magazine. 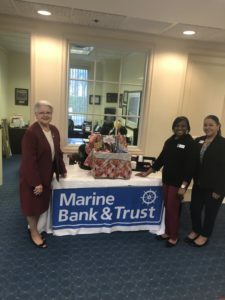 Women’s Council of Realtors, Affordable Dentures, Joseph Nipitella’s Interior Trim Carpentry, Prichard’s Insurance, Coldwell Banker Paradise, Pace Center for Girls, ACCH Insurance, Nutrition Smart and Branca Realty. 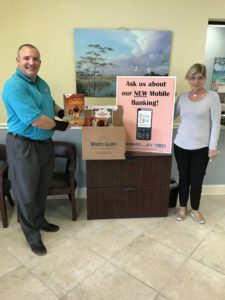 Better Business Bureau, Butcher Insurance Group, Oculina Bank, European Kitchen & Bath, Arrow Title, MTM Transit, Law Office of Svetlan Z. Nemeroff, Atlantic Shores Realty, Coldwell Banker of Stuart, The Children’s Museum of the Treasure Coast, Armellini, Jon Smith Subs, Gateway Mortgage, Sheila Maxwell of Keller Williams, First American Title, Coldwell Banker at Tradition, SFS Tax Problem Solutions, Monarch Realty Group. 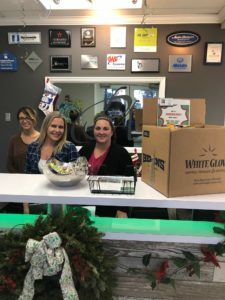 White Glove was proud to be recognized as the 2018 Bekins Van Lines Move for Hunger/Mover of the Year and has collectively raised over 100,000 lbs. 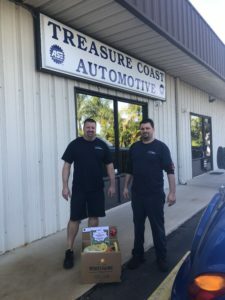 of food since 2013. 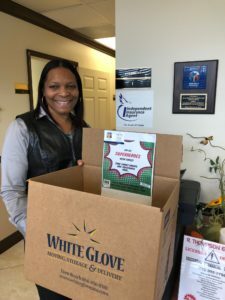 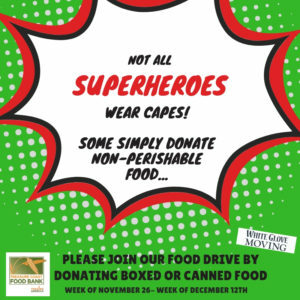 If interested in participating as a box host during either the summer or holiday food drive, please email VP of Marketing for White Glove Moving & Storage at AnnaV@WhiteGloveUSA.net. 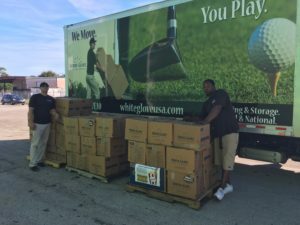 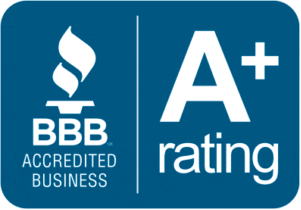 For moving questions or to set up a complimentary estimate for an upcoming local or out of state move, please call 772-778-4750. ← Move for Hunger: Mover of the Year!